Barclays analyst Brian Johnson said he's worried Ford "does not have a good handle on either the operational or strategic levers of the global business." On a conference call with Ford executives, Morgan Stanley's Adam Jones said Ford's communication strategy is "just not good enough," and accused Ford of "teasing the market with these very large numbers." He questioned whether CEO James Hackett is going to last in his job. RBC Capital, Barclays and Craig-Hallum analysts lowered their estimates for Ford's stock. Here's what we know: Ford said it would set aside $11 billion over the next three to five years to reshape the way it does business. Chief Financial Officer Bob Shanks said Ford would undergo a "profound redesign," making tough decisions about which businesses to shutter and which to focus on for the future. But the hints pretty much stop there. Ford said its future business will generate "very strong" operating margins and "very, very strong" returns on its investments. The company said it will be a different but "much stronger" business. "If you think about what that business looks like, it's going to be a business that rocks," Shanks said on the call with analysts. "As you can imagine, that is a complex thing to do," Shanks said. "So we're going to not, if you will, tip our hand before we need to so that we can manage this in the most efficient and effective way that's possible." Ford (F) spokesman Daniel Barbossa said the company wouldn't comment beyond the executives' statements on the conference call with analysts. Ford's stock sank 6% on Thursday and closed below $10 for the first time since 2012, but investors aren't exactly panicked. JPMorgan analyst Ryan Brinkman said the restructuring charges are a good thing. But Ford's problems are real. Second-quarter earnings weren't great, and the company cut its profit outlook because of weak sales in Europe and Asia. That's a big concern, because those locations were areas of strength just last quarter. 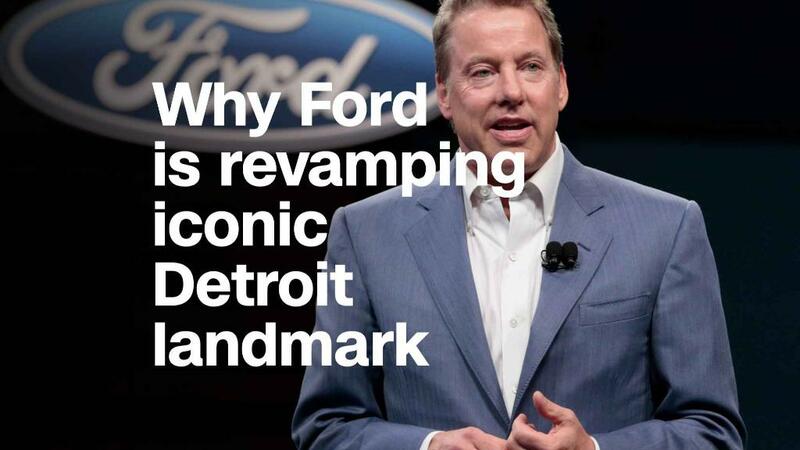 And cutting underperforming segments — if that is indeed Ford's plan — could undermine the turnaround. Ford may widen its profit margin if it cuts the fat, but its sales would decline, too. It's hard to turn a big profit when sales tumble. Just ask GE. "Without a clear game plan, [Ford] has us worried about how the broader business is being managed," Barclays' Johnson said. Morgan Stanley's Jones said postponing the investor day is "a pretty big deal." Ford wasn't about to give analysts any satisfaction. You could hear the exasperation in Jones' voice on the conference call. "Am I wasting everyone's time here? Are you going to — is there anything else you can say in terms of geography, function, region? Anything else tonight besides the number?" "No," Hackett said. "We're not going beyond that tonight."